Inch Size: Hgt. 1.10" x Dia. 2.76"
The natural polypro flat plastic vials are available for a Multi-Purpose of uses. Each of the plastic hinge top vials has a single piece design featuring a permanent hinged lid that snaps securely in place. 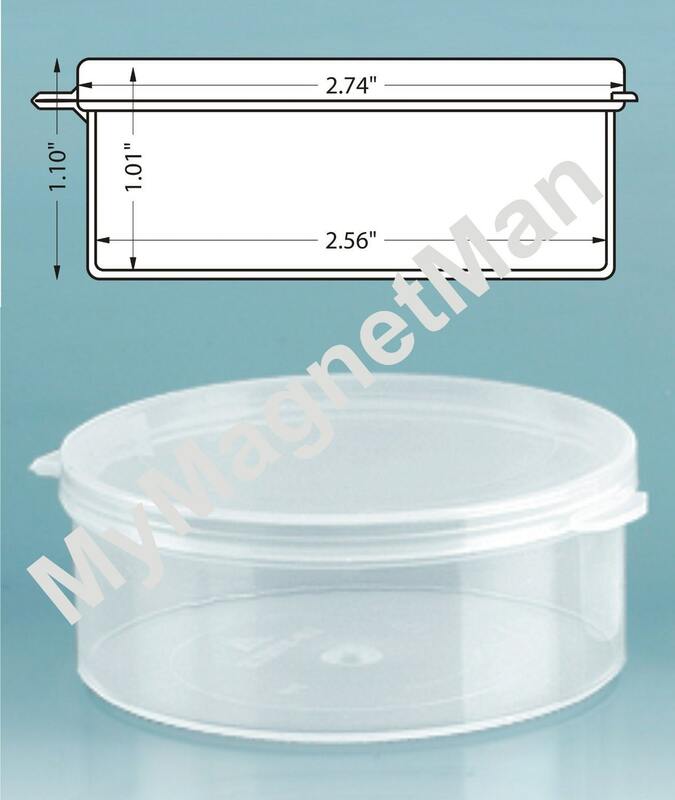 Try using the hinged lid containers for a variety of applications from laboratory sampling and testing to packaging craft items, pharmaceuticals, health products and more! Other sizes available in our Magnakoys Store. See our other listing for larger quantities.